Scott Essential provides reliable balance of efficiency, performance and value. 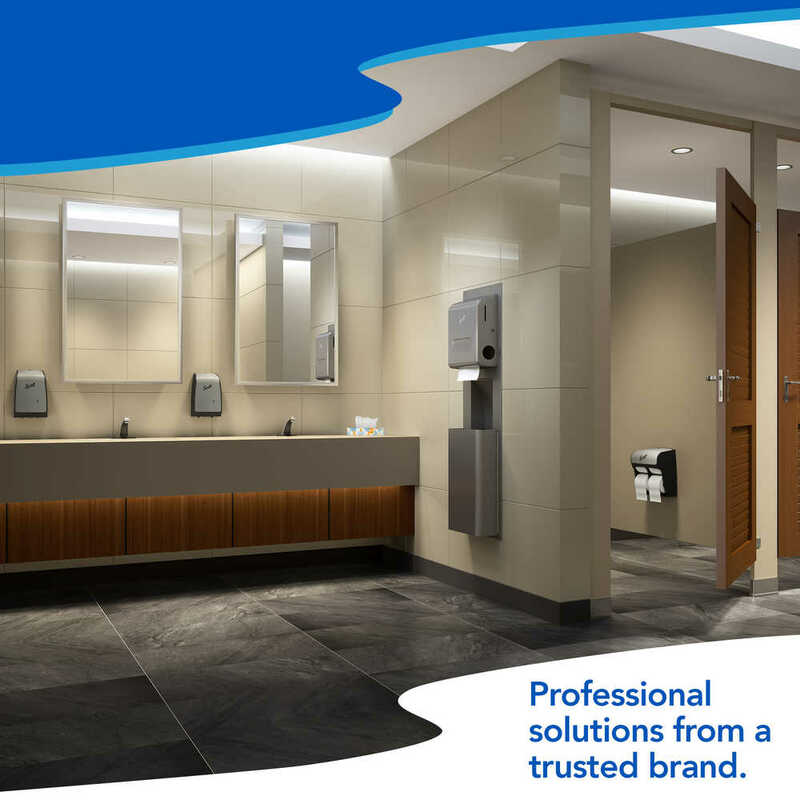 When you're looking for bathroom products you can trust, the respected Scott Essential should be at the top of the list. 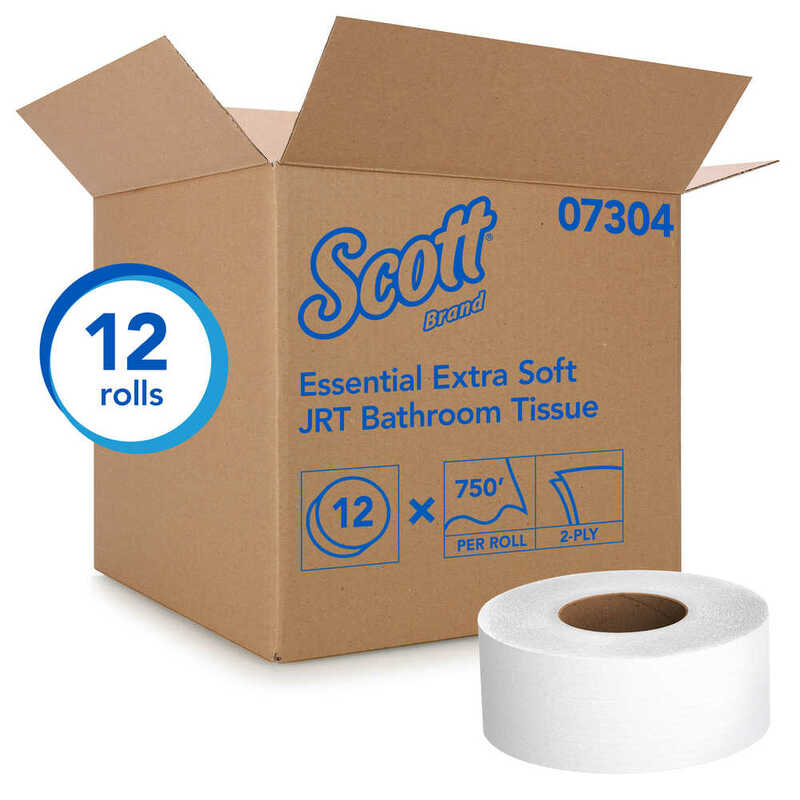 The Scott Essential Jumbo Toilet Paper offers premium softness and quality that your washroom guests will appreciate, all in a high-capacity roll. 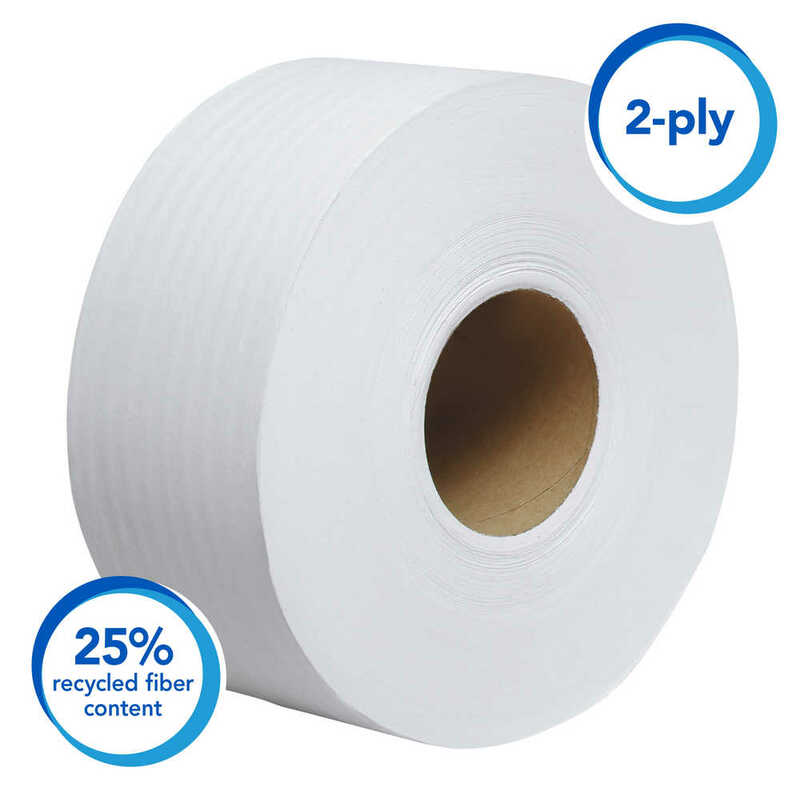 Just one big roll of this commercial toilet paper is 750 feet long, so you (or your maintenance team) will need to change the roll less often. 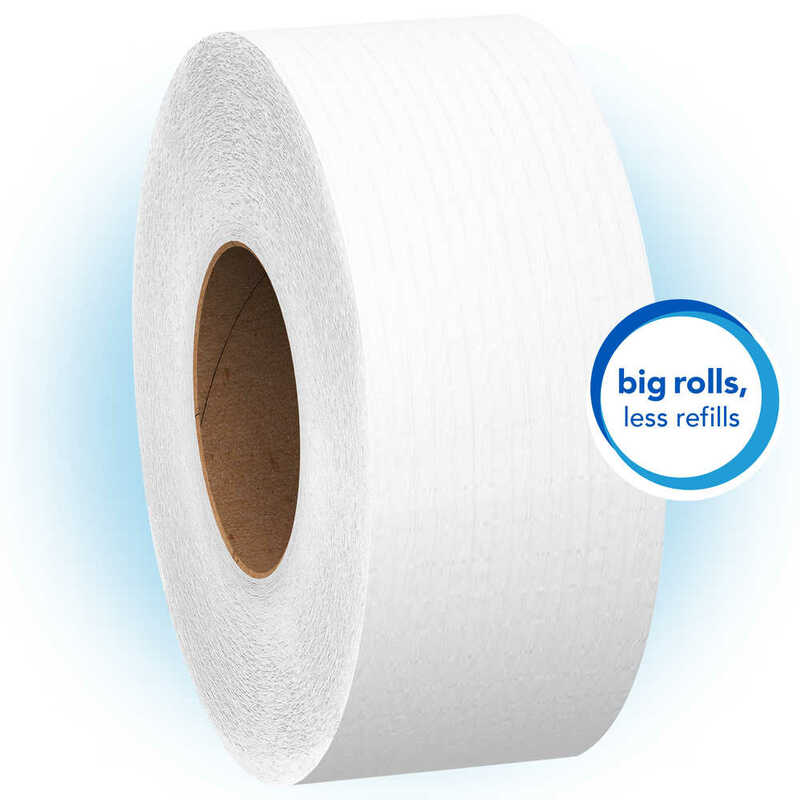 The premium, fluffy bath tissue roll is designed to fit in dispensers made to accommodate two rolls, so the system is ideal for high-traffic areas, reducing run-outs, refills and maintenance time. 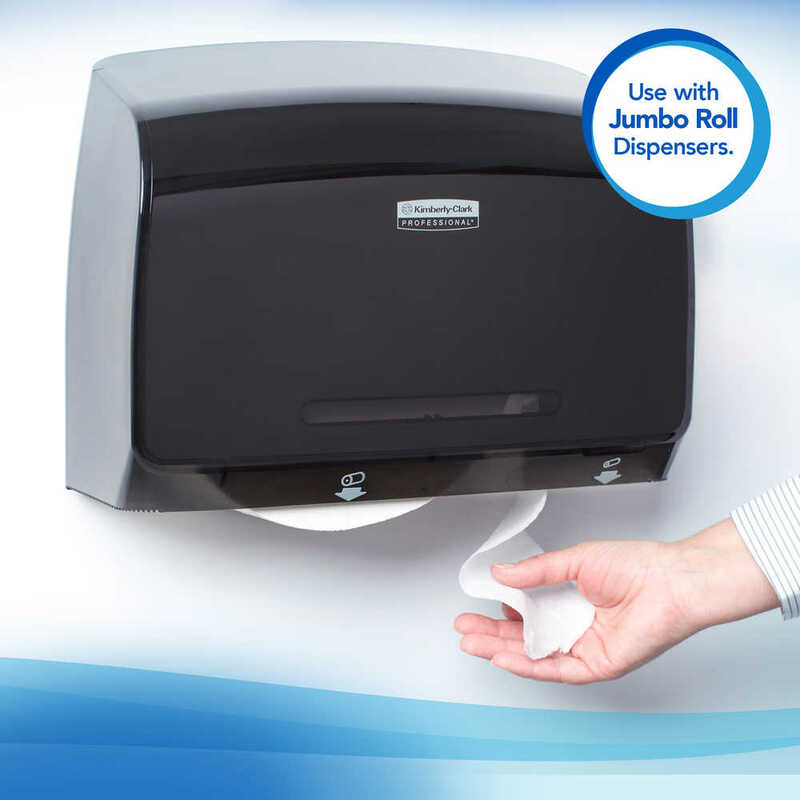 If being environmentally responsible is important to you, this is a great choice. 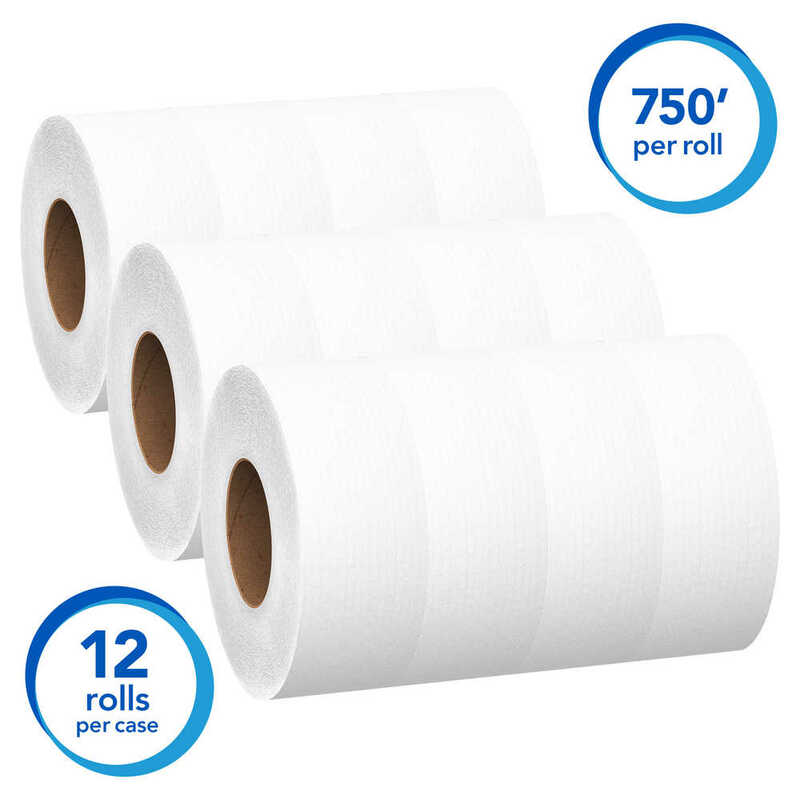 These large bath tissue rolls meet EPA minimum guidelines (with 25% recycled fiber and 20% post-consumer waste) and are FSC certified.